Introducing your very own Lifestyle Solution - MetaboWize - so you don't have to be another statistic. Here are some astounding statistics. According to the Center for Disease Control (CDC), obesity is now the Number One Health Risk facing our society today. One in three American adults (age 20+) is overweight, which is approximately 33.3% of our population as of 2010. And an additional 35.9% of the American adult population is obese. If current trends continue, estimated projections are staggering. By the year 2030, obesity in the United States by could reach at least 44%, with worldwide projections averaging above 50%. The World Health Organization (WHO) in May 2012 released that worldwide obesity has more than doubled since 1980. Since 2008, more than 1.4 billion adults (age 20+) were overweight and that at least 500 million adults were obese. Around the globe since 2010, at least 40 million children under the age of 5 years were considered overweight. We are all painfully aware that we have an obesity health crisis on our hands. People's scales keep going up and up. So what can we do about this obesity epidemic? Well, it's a lot more involved than telling people to take a stroll around the block or to stop eating junk food. That's why Xooma Worldwide created the MetaboWize System. 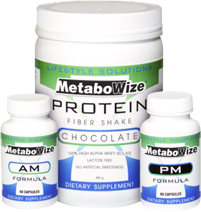 Based on cutting-edge science, the MetaboWize program is an advanced all-natural system that works for you, 24 hours a day. Unlike the fad diet programs that come and go, MetaboWize has consistently produced outstanding results for people around the world over the past five years. So take control of your life, the MetaboWize way, and don't become another statistic. Take a look at the 10-Day Action Plan that goes hand-in-hand with beginning the MetaboWize System. And find other helpful articles and information under Lifestyle Recommendations, including how to Eat More and Spend Less.